Welcome to #RedDevilsInRussia, a series of articles written over the course of the 2018 World Cup, which will highlight the twelve Manchester United players at the tournament. This first article will be a look ahead, analyzing what roles different players will play with their respective national teams. Check in over the course of the World Cup to see how the United representatives are getting on. As the greatest goalkeeper in the world today, it is no surprise to see David De Gea as the man between the sticks for one of the World Cup favorites. Taking over the starting goalkeeping job from Iker Casillas after the 2014 tournament, the United man will be the number one for Spain as they look to reclaim the World Cup trophy. De Gea was at his brilliant best this past season for United, picking up the player of the season award once again, and will look to take his form for club into international duty. He won his first Golden Glove for United this past season, and could very well pick up the World Cup version of the award come the end of the tournament. Unable to really get going this past season for United due to injury, Marcos Rojo was still able to make the final Argentina roster for the World Cup. He now faces a fight for the starting job, and could either feature at left back or center back. It seems more likely Rojo will feature at the heart of the defense, and will have to play well if Argentina wants any chance to make a deep run in the tournament. His performances at the 2014 World Cup earned him a move to United, and a strong showing at this summer’s tournament could see him return to the Man U starting XI for next season. Victor Lindelöf had a rough debut season for Manchester United, but has proven he is able to shake off his club problems when on national team duty. A starter at the back, Lindelöf plays a key role in a Swedish side that depends on its defense. His technical ability allows him to pass out the back, and kick start most of the teams attacks. His best performances came when his country needed him most, as Lindelöf helped Sweden keep consecutive clean sheets against Italy in the playoffs, advancing to the World Cup at the expense of the Azzurri. The Swedes could surprise many at the tournament, and with Lindelöf leading the way, the player can prove why so many have such high hopes for the defender. Serbia are some experts dark horse pick for the tournament, but will need Nemanja Matic at his best if they want to pull off any upsets. The central midfielder joined United a year ago, and was a constant fixture for Mourinho throughout this past season. His experience and defensive ability helped Man U at the back, and the Serbian was even able to grab a couple of key goals over the course of the campaign. Matic has a similar role for the national team, anchoring the midfield, allowing teammates the ability to create going forward. If fans are lucky, we could even see a textbook Matic rocket from distance. Mourinho has publicly stated that he hopes Serbia suffer an early exist, allowing an ageing Matic some much needed time off. The player will obviously disagree, as Matic looks to help Serbia advance from the group for the first time in the nations history. The Manchester United player with the most pressure on him at the World Cup, Paul Pogba will have a spotlight on him at all times. After being misused at the 2016 European Championships, the Frenchman finally seems to be at his best position for the national team, on the left side of a 4-3-3. Pogba has all the support he could need, with France one of the most talented teams at the tournament. 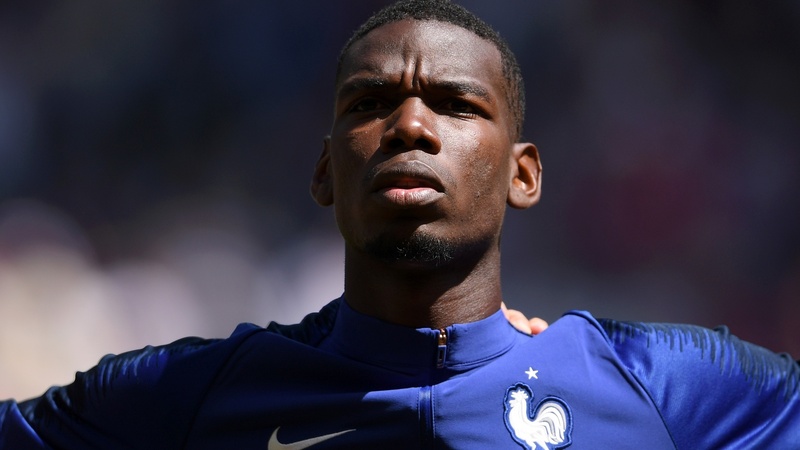 Some still doubt Pogba’s ability, with a few even claiming he should be benched ahead of the World Cup. A strong showing at the tournament from Pogba can shut those critics up, and help him gain a massive deal of confidence ahead of a crucial third season back at Manchester United. The first signing of the summer for United, fans might get a chance to watch their new midfielder for the first time at the World Cup. There were fears that Fred might have to miss out on the tournament, picking up an ankle injury in training. Luckily, for both United and Brazil, he should be able to go for their opening contest. Fred might not be a starter for the national team, but he definitely has the ability to impact a match from the bench. He is suitable to any role, with his versatility allowing him to be subbed on in any situation. Brazil will need to use their depth if they go as far as most expect, allowing Fred the chance to only further opportunities to excite his new club and fanbase. At the moment, Marouane Fellaini is still a Manchester United player, and will be representing the club in Russia. It is unclear whether his future will be decided during the tournament. The most recent updates indicate United have offered him a contract extension, but no one knows if the Belgian will accept it, or move on. Fellaini will be a bench player for the national team, as Kevin De Bruyne and Axel Witsel will get the start in the center of midfield. Just like with United, Fellaini could end up as Belgium’s target man late in games when need be, and might just grab a goal or two over the course of the tournament. The all time record goalscorer for his country at the age of 25, Romelu Lukaku will lead the line for an impressive Belgium attack at the World Cup. Joining United last summer, Lukaku had a quality opening campaign, scoring 26 goals in all competitions. He has been able to carry his form into Belgium’s recent friendlies, grabbing three goals in as many outings. He benefits from a constant stream of service, as his compatriots out wide are more than willing to whip in a delectable cross to him at any moment. Lukaku does his fair share to help the team as well, linking up play and dishing out more assists than most fans would expect. The United striker is a potential Golden Boot winner, and could lead his nation to World Cup glory in the process. Many United fans might feel Phil Jones is no longer good enough for the club, but the player has the chance to prove those doubters wrong at the World Cup. He did have a disastrous end to the season, giving up a lazy penalty in the FA Cup final, which Eden Hazard converted to win Chelsea the trophy. He now has to put that mistake past him, and fight for a spot in the starting XI for England. He is one of the biggest beneficiaries of the appointment of Gareth Southgate, who has implemented a back three. In the most friendly against Costa Rica, Jones was given the nod at the right center back position, and could keep that spot for the World Cup. If he is able to have an impressive performance at the tournament, he might be able to prove he deserves another chance to succeed at United. Converted to left back this season for United, his adaptation has seen him go through a career renaissance, culminating with a return to the national team. He is a great fit for the current England team, who employ wingbacks on either side of the pitch. Young has improved defensively, and still has the attacking ability to grab a goal or provide an assist up the field. He will have to be content with a spot on the bench, as Danny Rose will most likely get the nod on the left hand side. However, he is only an injury or suspension away from getting one last chance on the World’s stage. Manchester United’s breakout player of the season, few would’ve expected Jesse Lingard to be a part of the World Cup roster a year ago. The academy product worked tirelessly, improved his game, and became an integral part of Mourinho’s set up. Lingard might find time hard to come by at the tournament, as he is still behind Dele Alli and Raheem Sterling in the pecking order. However, Lingard has made a career of keeping bigger named players on the bench, and will look to work his way into the starting XI during the tournament. The 2018 World Cup could be a massive turning point in the career of Marcus Rashford. He had a poor end to the 2017/18 season for United, unable to find any real consistency. He has recovered well since then, shining in England’s recent friendlies. Rashford scored a banger against Costa Rica, and was playing with a certain swagger that made him unstoppable to defend against. Manager Gareth Southgate will have to choose between him and Jamie Vardy for the second striker spot alongside Harry Kane. If Rashford gets the nod, and has a stellar performance at the tournament, the Mancunian could be a likely candidate for the Best Young Player award at the World Cup. Manchester United After Clement Lenglet?